Half Price Books Review and Giveaway! If your family reads books, the way my family reads books, I want to introduce you to this super, great store we know about. It is called Half Price Books. We look for them wherever we go, and since every thing is bigger and better in Texas, guess what we found! Loads of Half Price Books! The first Half Price Books was opened in 1972 by Ken Gjemre and Pat Anderson with 2,000 books from their own collections in a converted laundromat in Dallas, Texas. Their idea was to offer a great product at a great price. Believe me when I tell you it caught on! There are now Half Price Stores in 16 states. They carry anything printed or recorded, except as they say, yesterdays newspaper. They have records, cds, cassette tapes, video tapes, dvds, books (both hardcover and paperback), booklets, pamphlets, magazines, etc. They do have an online store where you can browse and order, but if you are like me, it is more fun going to the store and browsing through the books. You know, sort of treasure hunting. It is exciting when you find that special book. Most used books are half the cover price, unless they are collectibles. The nice thing though is the longer they are there, they eventually get marked down. Of course our personal favorite is their clearance corner where books are often $1, $2, and $3. We have also found some children's books as low as 25-50 cents each. Recent magazines are half price and then older ones are .50-$1.00. I don't think we ever left one without purchasing something. Which is why on this trip we brought 6 large bins of books to turn in, which they either give you credit towards your purchases or as cash. I am really hoping we go back with less than we brought! We have to go back through Dallas and since their stock changes daily, we will probably end up with more books. One of the Half Price Books we visited was located at 711 N. Hwy 67 in Cedar Hill, Texas, where I met the manager Doug Wise. He was kind enough to donate a $10 Gift Card for a giveaway to the readers here. You can see in the picture at the top of the post my son and daughter entering the store. They often race each other to get to the clearance section first! Outside the store were several carts, like the one in the picture above, with marked down books. Here my son, husband and another customer are looking for books in the clearance section. In the above picture you can see my daughter in a portion of their children's section. Yes, I said a portion! This is a picture of a section of their books on pets. Anything from pocket pets to dogs and cats, even livestock. And this is an up close of some of their children's collectible books. We always check their collectible books. We love the old Christian books and I have a favorite author who wrote under the pen name of Pansy, so I am always trying to find more of her books. This store had some of the nicest employees! They were very helpful. Including, providing a map and directions to the other stores in the area. There are 13 nearby stores listed on the website! Each store has these maps available, so once you find one, you should have no trouble finding the other stores in the area. They are presently participating in the 13th Annual Half Pint Library Book Drive. They collect new and gently used books for local kids in need. For each book donated Half Price matches book for book. What a great way to give to the community! The winner of this giveaway will receive a $10 Gift Card to Half Price Books. Disclaimer: I received no monetary compensation for this post. I did not receive anything for review purposes. All quotes are from the Half Price Books website or email. All thoughts and opinions are mine. We made it to Texas! Much better weather here. After a quick drive from our hotel to Dallas, we started visiting some of our favorite stores. They are called Half Price Books. (Read tomorrows post for more information on Half Price and a giveaway! I think we went to 8-9 stores. My family reads alot. We brought 6 bins of books with us to trade in. Everyone went through their books before leaving on the trip and actually found some we were willing to part with. Of course we plan to get more! Above is the vehicle we are traveling in, along with the pull behind cargo trailer. We managed a quick lunch in between bookstores. On the way to our hotel for the evening we stopped at a grocery store to get subs for dinner, along with some flavored waters. It was a long day. We arrived at the hotel around 9:00 pm and then my husband and older daughter ran out to get ice cream while the rest of us cleaned up and got the room ready for the evening. Rising early this morning we headed out to Abilene. Of course we stopped at 3 more Half Price Bookstores on the way! We had lunch at Sweet Tomatoes. It was really good. Make sure you enter the Sweet Tomatoes Giveaway, it ends 4/9. It is for 2 meal passes! After arriving in Abilene we checked in to our hotel and after racing around to get ready we headed to church. (My husband preached.) Grabbed a bite to eat and we are back in the hotel for the evening. Can you tell we are in Texas? Make sure to stop by tomorrow to see how the road trip is going and to enter the Half Price Books giveaway! How I Keep My Family Happy on a Road Trip! 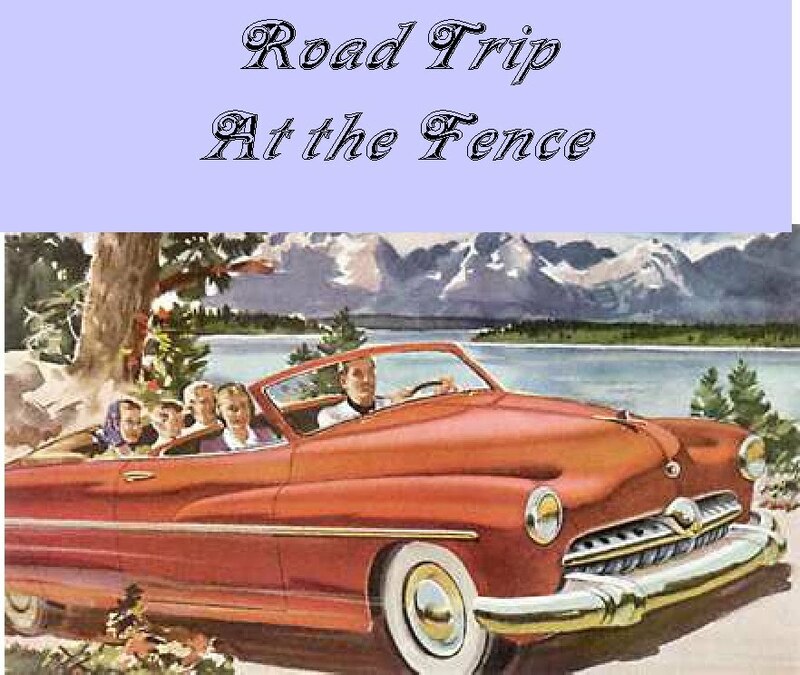 Since I am having a road trip right now, I thought I would include ideas in this post about keeping my family happy on a road trip! You all know what I mean. We will be on this trip for a few weeks and I am sure you know what happens when 6 people spend the majority of the day in a vehicle several days in a row. Some of the simple things I do, is remember to pack snacks and drinks, that help during the times that we are almost ready to stop to eat, but it might be....a little longer. I make the snacks simple and easy, fruit, cheese chunks, pepperoni (one of my family's favorites), crackers, and then bottled water, and juice. For the juice the small individual bottles work best. We don't want alot, just enough to tide us over. We also sing together in the vehicle. Each one takes a turn picking a song, and everyone has to join in. Most of the songs are Christian, but we also include some silly, just for fun songs! Another thing to help keep the family, my husband, happy on a trip is we bring along quiet activities when we are driving through a busy city, or construction area. This would include, word finds, crossword puzzles, Sudoku, Etch-a-Sketch, Rubiks Cube and other items that keep hands and minds busy without a lot of fuss. This keeps everyone happy and allows my husband the ability to concentrate on driving without distractions. Of course we play some of the usual car games too. Trying to find a license plate from as many states as possible. Trying to find words on signs that begin with each letter of the alphabet. We sometimes have to give up on Q, X, and Z.
I bring along the binoculars, camera and camcorder, and the children take turns taking pictures and recording silly little videos to watch later. We also see how many different birds and animals we see during the trip. Each of these little things help to keep the trip fun and helps everyone to stay happy. Keeping everyone busy, helps prevent minor, or major, irritations from occuring. And of course we plan enough stops to let everyone stretch their legs and run around to burn off excess energy. No matter the age each of needs that time to get our bodies moving. Maybe this will give someone else some ideas, or if you have some you use to keep your family happy, feel free to leave a conmment to share. This post was written in response to Social Moms and Farm Rich. I wrote this blog post while participating in the SocialMoms and Farm Rich blogging program, for a gift card worth $25. For more information on how you can participate, click here. 1 DAY ACUVUE MOIST Contacts Giveaway! Here is the first Road Trip post. Before traveling make sure you have everything packed that you need. From clothing, to toothbrushes, to medicine and don't forget your contact lenses. Imagine you head out, travel all day, and then...you forgot to pack your disposable lenses. 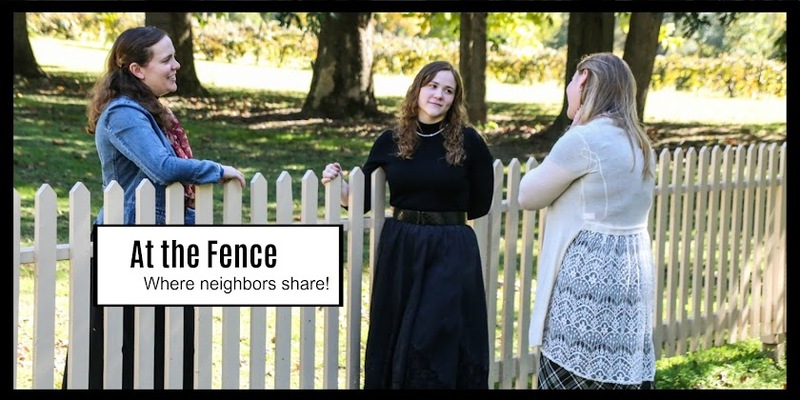 ACUVUE is working with At the Fence for our road trip! First let me tell you, although three people in my family wear glasses, none have tried contacts yet. My husband grew up wearing glasses and I am not sure he will ever change, my youngest only uses glasses for reading, but my oldest daughter has considered trying them. 1 DAY ACUVUE MOIST would be a great choice for her! She has problems with allergies, mainly during the summer, and I think these lenses would help. benefit is that for allergy sufferers, research has shown that a fresh pair of lenses every day (made from etafilcon A) may provide comfort for people suffering mild discomfort from itching associated with allergies while wearing contacts, compared to lenses replaced at intervals of greater than two weeks. To me this only seems reasonable as your contacts probably pick up allergens and replacing them daily would help remove some of them. Now wouldn't 1 Day ACUVUE MOIST make your trip much easier? No hassle, no solutions, no case to worry about. I know how forgetful my children can be. I can just hear midway through the trip; "Mom, I can't find my contact case!" or perhaps "Has anyone seen the solution for my contacts?". 1 Day ACUVUE MOIST will make your road trip more enjoyable and easier for everyone. You can relax and enjoy the trip! Not to mention no worry about broken or lost glasses. My 10 year old has lost hers more than once! Remember the winner will receive a one month supply of 1 Day ACUVUE MOIST, but exam and fitting fees are NOT included, and you MUST present a current and valid prescription for ACUVUE brand contacts. 7. Leave a comment letting me know something that has happened to you with your contacts, you know a silly or scary story. This is worth 2 entries, so leave 2 comments. You only have to tell the story once, for the second comment just type "second story entry". Disclaimer: I received no monetary compensation for this post. I did not receive anything for review purposes. All quotes are from the ACUVUE website or email. All thoughts and opinions are mine. I hope you enjoy the updates and reviews that will be included with our Road Trip. We started out and the weather was beautiful. Everyone had a great time just watching the scenery. We started at about 5:00 pm as we decided to leave one day early and travel some at night. We didn't realize that by the time we stopped for the evening we would be driving in snow! We headed south! Weren't we supposed to leave all that behind? Anyway, by the time we stopped we were in Missouri just outside of Springfield. I do have to admit, the Dogwoods in bloom looked gorgeous with the snow. Sorry, but at 2:00 in the morning I did not feel like taking pictures, and by morning the snow had melted. After dropping rather quickly into bed at 2:00 am, we slept in the next morning, and instead of breakfast we headed out for lunch. We went to Lamberts, near Branson Missouri. For those of you who have not heard of Lamberts, it is terrific and you can not leave still hungry! Lamberts is called "Home of the throwed roll". Yes, you read that correctly. All throughout your meal at Lamberts, you will hear the cry of "Throwed roll!" "Who wants a roll?" And then from whereever they are standing, they draw back and THROW your roll to you! My children love it, and I have to admit, so do I. Another great feature of Lamberts is the fixin's that get passed around. You can have as much or as little of them as you would like. Servers approach your table with items like macaroni and tomatoes, fried okra, fried potatoes with onions... they are great! And of course your main meal also comes with 2 sides. Wait until you look through the pictures of our meals and tell me if you would still be hungry! Two of my children ordered the salads in bread bowls. I think they could have shared one and still had leftovers. Another ordered roast beef, one had chicken tenders, my husband had meat loaf. Your drinks are served in large insulated mugs. If you like them you can purchase one at the gift store on your way out. The walls in Lamberts are covered with old license plates, old advertising signs, antiques, etc. The bathroom doors are labeled HENS and ROOSTERS. You sit on large wooden benches, with backs. They have balloons throughout the restaurant so the children can take one home with them. Well, time to say good night. I will update more tomorrow! Great trip so far! Furry & Fabulous Review and Giveaway! Here is one more post from Doggy Days! This is from Furry & Fabulous! They sent us some of their Organic Animal Collection! My children thought they were cute! Roxie and Shadow both enjoy playing with them, but this is a toy that we have to watch Roxie with. They have a Chicken, Cow Pig, Horse and a Sheep. They are made of Organic Linen made with pesticide free cotton. Natural cotton stuffing inside along with a squeaker, Roxie's favorite part! They are approx. 7 inches. They have embroidered features so you don't have to worry about your pet chewing off small pieces. For some reason Roxie has taken a liking to the sheep. She is really funny that way. She chooses which toy she wants and then she will ONLY play with THAT toy. She actually digs through her toy box looking for the one item she wants. It just so happens that the sheep was her choice for the day. I am serious about this. If she is playing ball and it gets out of her reach,, she will sit there and bark until we get it for her. Even if we offer another ball she will ignore it until we get the one she wants. Anyway back to the Furry & Fabulous toys. Both dogs enjoy playing with them. Each of the Organic Collection is $12, which you can order right from their site. They have several other collections available, like the Baby Collection, Galactic Collection, Krackle Zoo, along with leads and collars. The winner of this giveaway will receive the horse and cow. Disclaimer: I received no monetary compensation for this post. I received several dog toys for review purposes. All quotes are from the Furry & Fabulous website. All thoughts and opinions are mine. I wanted to give everyone a heads up! At the Fence is taking a road trip, and will be doing reviews and giveaways with items to do with a road trip. I will be doing posts about the trip, places we visit, and products we use on the trip. We are actually on the road now and I will be doing posts every couple of days to update you. I hope you enjoy this as much as I do! I will still be doing some regular posts and finishing up the Doggy Days Event, so make sure you stop by At the Fence to see what is going on! Keep an eye out for posts on Jiffy Lube, Coby Camcorder, Go Picnic, The Texas Rangers Museum just to name a few. Hoohobbers Review and $50 GC Giveaway! Beautiful day out At the Fence and I wanted to take some time to share this really nice diaper bag I received from Hoohobbers. If any of you is expecting, have a young child, or need a gift for someone who is expecting, you need to visit Hoohobber's website! I was able to choose which bag I wanted. It was really hard to decide which style and color I wanted. They are all so beautiful. I finally chose one of the messenger style bags in Bella Blue Stripe, Deep Brown and Classic Brown. Then I was even able to have the initials embroidered on the front. There is a changing pad inside. Ladies, this is a really nice bag! Our personalized Diaper Bag is longer lasting because of the strength and toughness of denier nylon. This specific diaper bag is $75 and then $12 for embroidery. Remember there are 3 styles and then many different choices in design. Hoohobbers carries many unique items for newborns and toddlers, along with nursery/room decor, and items for 5 yrs. and up. Many of the items can be personalized. Hoohobbers products are made in Chicago Il and if you are ever in Chicago you can actually visit their retail store at the factory. Located at 1657 North Elston Ave. We are in Chicago a couple of times a year so I think we might stop in some time. Hoohobbers has received many awards for their products from America's Juvenile Products Assoc. and Parents Choice Award just to name a couple. I really think my neighbors would enjoy many of the items offered by Hoohobbers. I personally love the Moses Basket! Make sure you check out the Hoohobbers Facebook page. You can also follow them on Twitter. Hoohobbers will be giving the winner of this giveaway a $50 gift certificate for their store. Disclaimer: I received no monetary compensation for this post. I received a Messenger Diaper Bag for review purposes. All quotes are from the Hoohobbers website. All thoughts and opinions are mine. Planet Dog Review and Giveaway! Another Doggy Days Post! This has been so much fun! Planet Dog sent Roxie and Shadow several different balls, one a Wood Chuck. We received a Glow for Good Ball, an Orbee Tuff Recycle Ball and an Orbee Tuff Fetch Ball, along with the Wood Chuck. The balls are a 5 on their Chew O Meter. A 5 is for the most aggressive chewers. This is just what our dogs needed. You can stick treats inside the balls for even more fun. The Wood Chuck is a really neat dog toy. For those of you who have dogs that love to play fetch as aggressively as Roxie this is a perfect choice from Planet Dog. The Wood Chuck is made of sustainable Bamboo and re-used cork scraps. You use it to throw the balls. 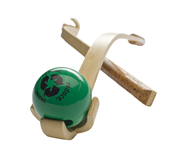 There is a wooden 4-pronged claw at the end that you place the ball into and then chuck the ball. Wait till you see the video clip! I love these balls! So far none have been destroyed! Roxie has been playing with them and they are still in one piece. "Since incorporating in 1997, we have been known as the industry's leading socially responsible, values-based design house, bringing people and dogs together for fun and mutual support. The fire in our belly is to concept, innovate and develop premium products "made for dogs, by dog lovers" all while being fully dedicated to satisfying both you and your best friend's needs. Our mission is to amuse, explore, support, innovate, create, educate, celebrate and philanthropate... all in the name of the dog. We "romp the romp" by providing financial resources to those in need, educating consumers about canine-related issues, creating an array of non-toxic and recyclable products, and keeping the tails of "our pack" wagging. Planet Dog’s flagship initiative is the Planet Dog Foundation. Since 2006, PDF has donated more than $500,000 in cash and product donations. Our internal mantra of "think globally, act doggedly," keeps us focused on the higher cause of why we entered this industry...wagging, drooling, sniffing, snuggling, howling, romping dogs." All proceeds from the Glow for Good Ball go to the Planet Dog Foundation. This is Planet Dogs not-for-profit whose mission is to support canine service programs. One neighbor will win a Wood Chuck and a Glow for Good Ball. Disclaimer: I received no monetary compensation for this post. I received several dog toys for review purposes. All quotes are from the Planet Dog website. All thoughts and opinions are mine. 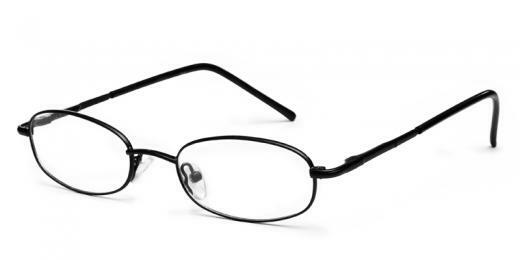 Glasses USA is a really nice eyeglass company where you can order prescription eyeglasses online. Now, with six children, two of whom need glasses, we are on the look out for cheap glasses. My husband also wears glasses so that makes three total in our family in need of eyeglasses at various times. With a family of 8 we are always looking for a way to save some money and not lose in quality. Glasses USA could be a big help in this area. Glasses USA carries cheap designer glasses. Looking for that special frame, check out what they have available. The only complaint I have is I didn't see any children's glasses. I found several pairs of glasses that would work for my husband and older daughter. You just get an exam done and then you can go in and choose the frame of your choice. They even have a program where you can see how certain eyeglasses look on your face. You can upload a picture, use your webcam to take a picture, or use one of their photos. I tried it just for fun! It works really well. Glasses USA is definitely a place where you can find discount glasses. Or maybe you need prescription sunglasses. That is something my husband has been considering because we spend a lot of time out in the sun over the summer. I really think this would be helpful. Right now he has the glasses that change in the sunlight. Also with traveling we like to have an extra pair on hand for each person in case a pair gets broken. So, 3 people who wear glasses times 2 pair each, that makes six pairs of eyeglasses. When you purchase that many you definitely want discount eyeglasses! So if you are presently searching for new glasses visit GlassesUSA.com and see if they have what you need. And they have given me a code for you to use to save 10% on your next order of glasses with the code: Mommy10. I think my neighbors will enjoy checking out Glasses USA! Cafe Press Review and Giveaway!! Woodrow Wear Power Paws Review and Giveaway! Hanah's Bandanas Review and Giveaway! Kyjen Dog Toys Review and Giveaway! 250 Die Cut Business Cards! Giveaway!